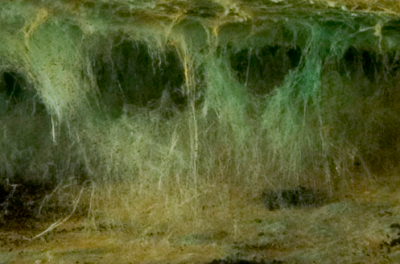 This subterranean organism, sometimes called witch's hair, miner's bane or torch mold, resembles cobwebs or wispy hair growing from walls, floor, and ceiling. It grows quickly in the presence of light, completely filling a corridor in a matter of minutes. The mold isn't dangerous in itself, if lights are extinguished, but makes travel through its hair-like tangle slow going and confusing. Dark tales are related, however, of mages caught in widow's hair with items magicked to give light and no way to extinguish their illumination. I like these creature/trap hybrid descriptions - there's enough there to work with but I don't feel constrained by too much detail. Thanks for letting me know, because that's just what I was hoping for. More to come.